We love a designer shoe like the best of them but when you can get a bargain that looks like a designer shoe then that’s even better. 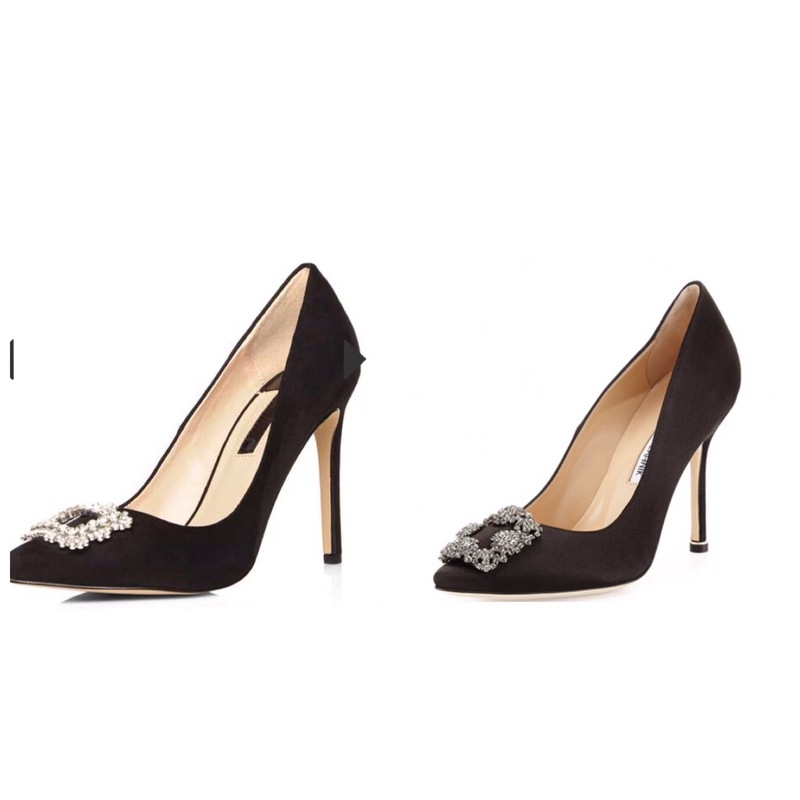 Behold the Manolo Blahnik Hangisi Crystal toe pump shoe (Right £675) the shoe that dreams are made of. Or you can go for Beth detailed court shoe by Dorothy Perkins (Left £35). We know we rather save £640!!! Knockoffs usually don’t look comparable, but the one here actually, I prefer it to the designer one. I knew the designer one was such, however, due to the “tag” inside, the quality of the inside, more substantial heel, and more seamless construction in the front….